Complete the Wait List form and return to the centre with payment for the $20 administration fee. CAN I HAVE A LOOK THROUGH THE CENTRE? For a guided walk-through of the centre, please visit any day from Tuesday to Friday between 9.00am – 11.00am. 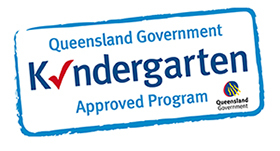 Our Kindergarten Room offers children a Qld Government Kindergarten approved program for 15 hours/week run by a registered Bachelor of Early Childhood teacher and an experienced educator with their Diploma of Children Services. 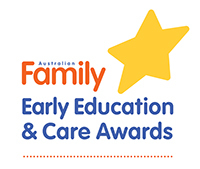 For the Kindergarten program, children are required to attend a minimum of two days per week and to attend from 9.00am on each day of attendance. Further information can be found in Kindergarten. AT WHAT AGE CAN MY CHILD ATTEND THE CENTRE? We are able to take children from the age of 6 weeks through to 5 years. Details about rooms, age ranges and daily fees can be found in Our Children. HOW MUCH DOES IT COST TO ATTEND THE CENTRE? Attendance fees vary depending on the age of your child. Details about rooms, age ranges and daily fees can be found in Our Children. Kurilpa employs a cook who prepares fresh meals every day for lunch, morning and afternoon tea. All meals provided are vegetarian and nutritious and are included in the daily fee. Further information can be found in Kitchen & Meals. IT'S MY CHILD'S BIRTHDAY - CAN I BRING IN A BIRTHDAY CAKE TO CELEBRATE? Birthdays are special occasions for children and we love celebrating children’s birthdays here at Kurilpa. If you wish, you may bring in baked goods for your child to share with the group for afternoon tea, please remember to bring a full ingredient listing (including additional store-bought items, such as sprinkles). Further information can be found in Kitchen & Meals.